As some of you may know, I will be celebrating my birthday next month, the 30th of November to be exact. Aside from a big birthday giveaway I have planned next month, I decided to make it a bit more fun by holding a birthday giveaway countdown where I will draw one lucky winner of a Monotheme fragrance set each week! 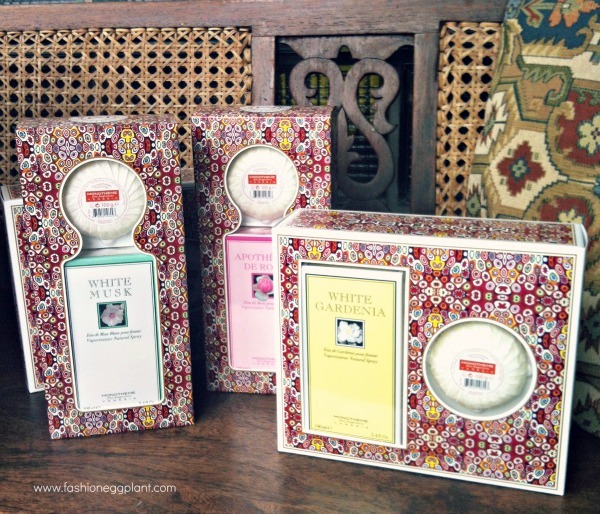 I love Monotheme and their fragrances (gardenia is my personal fave), they are earth-friendly and will leave you smelling delicious! So as a thanksgiving to all my readers for your continuous support these past few years, I would like to share it with you. 1 lucky winner will get the chance to win either a 30ml or 100ml fragrance set in 3 of my top favorite Monotheme scents, white musk, gardenia and rose. thanks for this awesome giveaway.. !!! joan rafunzel medina joanrafunzelmedina@rocketmail.com happy birthday.